Evan Plotkin, left, with parking attendants Joe Martin, middle, and Damien Denesha at the new service just outside 1350 Main St. 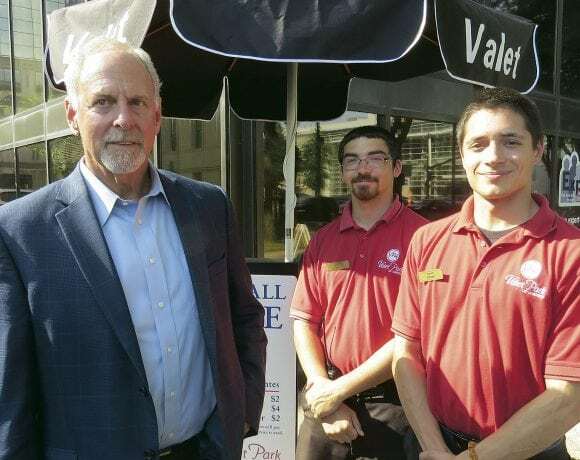 Valet parking isn’t exactly a novel concept; banquet halls, restaurants, and hospitals have been offering that service for years, if not decades. But it is when it comes to downtown Springfield’s office towers. 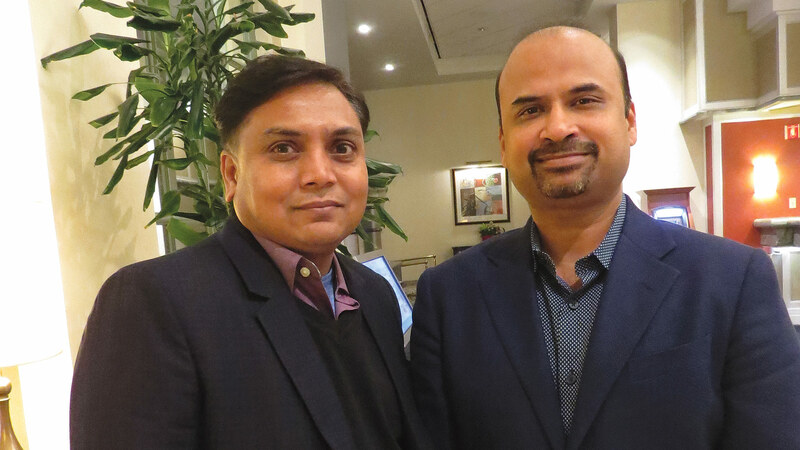 One Financial Plaza recently introduced the concept, and in a few weeks, it is living up the promise first foreseen a decade ago. 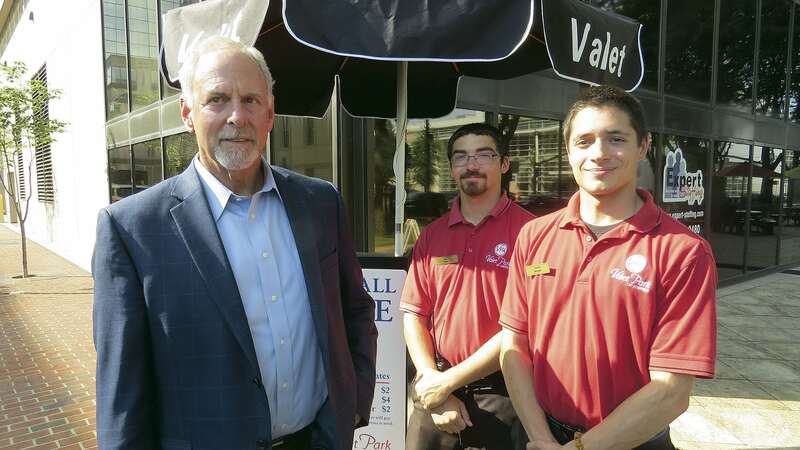 Evan Plotkin says he first conceived of the idea of instituting valet parking at 1350 Main St. in downtown Springfield — the office tower he co-owns — almost 10 years ago. Then, as now, he thought the service would bring a needed, higher level of convenience to people visiting professionals and other tenants in the tower, take some off the rough edge off Springfield when it comes to the issues of parking and enforcement of same — matters that can keep some from even venturing into the city to do business — and be another selling point when it comes to attracting new tenants and prompting existing tenants to re-up. So why did it take a decade for the concept to become reality and, according to early projections, fulfill all that promise? “I couldn’t really afford it back then,” said Plotkin, who laughed as he said that but was nonetheless quite serious with his tone. 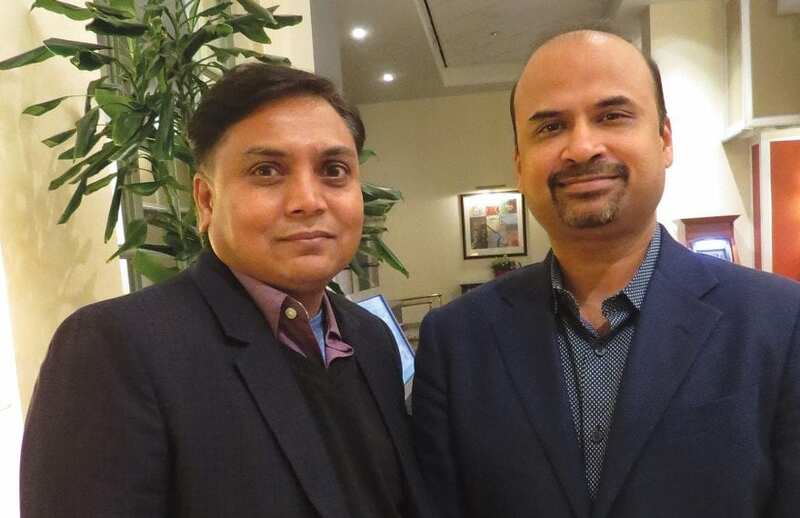 But there were other reasons as well, ranging from the economy — that was the height of the recession — to some logistics (getting all the needed approvals from the city), to a vibrancy level that needed to still come up a notch for this to really work. Or two notches. Or three. All of those issues, including the notches of vibrancy, are now being referred to with the past tense, or certainly will be when MGM Springfield opens its doors in a month. So Plotkin and the other owners of 1350 Main have made that dream from a decade ago a reality, and they’re off to a fast start, by Plotkin’s estimates, with this valet parking venture, which also serves visitors of neighboring City Hall, the county courthouse a block or so away, and other nearby facilities, at the start of this month. That was the Fourth of July week, as you’ll recall, so the numbers have to be kept in perspective, said Plotkin, adding that those first few days, the attendants were parking 25 to 30 cars a day. By early the next week, the numbers had doubled, and on July 12, a Thursday, they parked 73 cars. “And I think those numbers will just continue to grow as more people become aware of the service,” said Plotkin, adding that roughly half of the customers thus far have been visitors to City Hall, more than a third have ventured to 1350 Main, and the rest have had other destinations in mind. 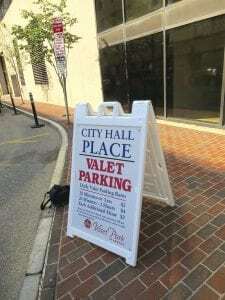 The service, managed by Valet Park of America, is roughly as expensive as traditional parking, said Plotkin, noting that the cost is $2 for 20 minutes or less (enough time for a quick visit to tenants at 1350 Main or offices in City Hall), $4 for visits ranging from 20 minutes to two hours (enough time to go the gym on the building’s ninth floor), and $2 for each additional hour after that. Several tenants at 1350 Main already provide vouchers to visitors to cover the cost of the service, just as they would with normal parking. The service, operated on what’s known as City Hall Place, has a few spaces right outside City Hall, roughly two dozen more in the Civic Center Parking Garage, and more in the lots under I-91, said Plotkin, adding that, with the way the concept is catching on, more may be needed. This isn’t exactly a novel idea — valet parking has been used by banquet facilities, restaurants, and hospitals for years now. But it is for an office tower, at least in this market, said Plotkin, adding that, as he surveyed a changing landscape downtown and pending changes, especially MGM, he decided it was time to execute that plan he first conceived all those years ago. Elaborating, he said 1350 Main St. doesn’t have any structured parking (an attached garage or lot) and has historically been challenged by having to rely on nearly facilities. And with MGM set to open, that challenge, and the perception of parking issues, would only grow. Thus far, the service is doing just what he thought it would. 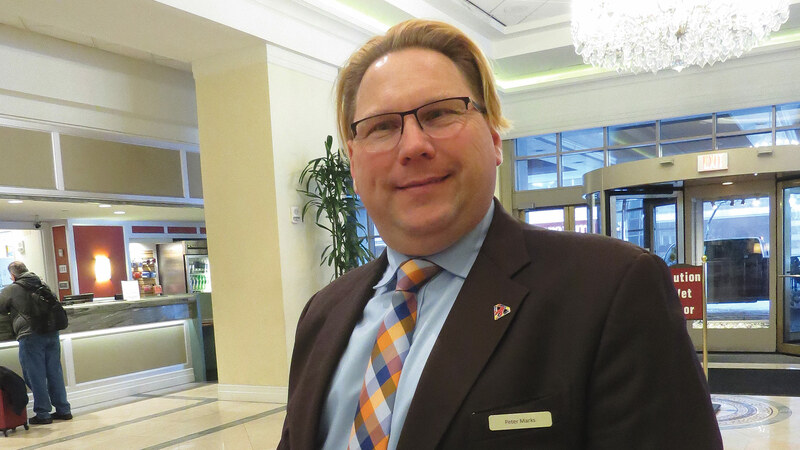 It’s providing that layer of convenience for visitors, his tenants seem to like the service and consider it added value, and, in Plotkin’s mind, it’s helping to put a friendlier face on downtown Springfield. Or at least a strong counter to the parking patrol that polices the central business district. Those individuals are just doing their jobs, he said, but they put visitors to the downtown area and his building on edge — and sometimes dent their wallet. He said the arrival of MGM Springfield will certainly drive the numbers at the valet service higher and bring the business venture closer to and eventually past the break-even point he knew he couldn’t reach a decade ago. Damien Denesha, recently named manager of this site by his employer, Valley Park of America, agreed. It took a decade for the concept Plotkin first put on paper to become reality. But thus far, the service seems to have, well, lots of potential, in every sense of that phrase.